This type of map is often used by corporations or departments within companies who specify in the carriage of goods. On a zone map, the customer's work or sales area is displayed. The map is divided into zones. These zones may be areas drawn from a calculated distance. From the transport location(s), circles are drawn on to specify distances. 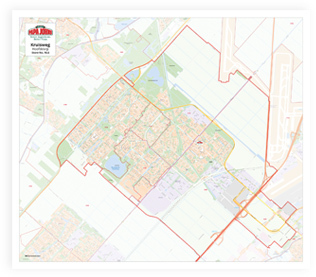 The display of places and/or postal codes can be determined in which zone a location is based. It becomes more complex when zones are created based on the distance travelled. In particular, delivery companies want to know which customer locations are within a ‘X’ minutes’ drive on a scooter, bike or car. A zone boundary gives a much more realistic calculation of the distance that needs to be travelled, including the associated travel time. Often, a larger area is divided by country. 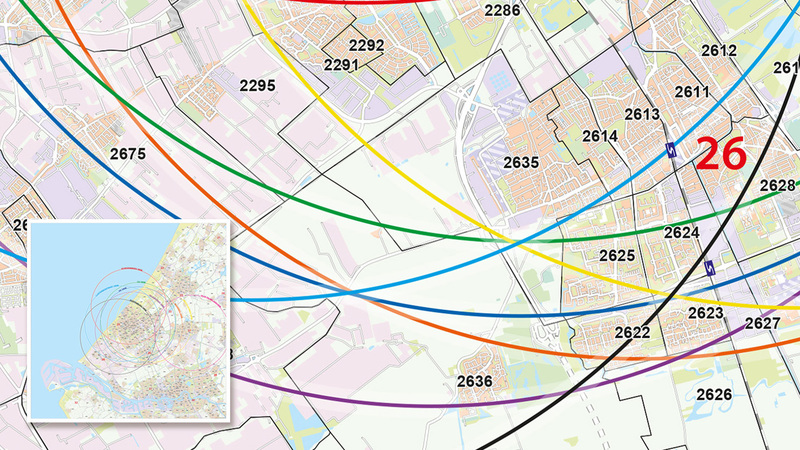 For example, on the basis of a postal code area, you are able to establish a fixed weekly delivery day graphically. 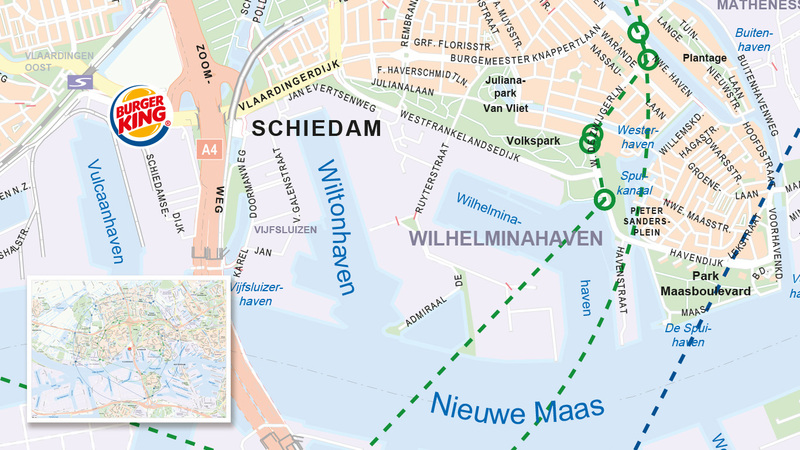 Such maps are often displayed on the website, so customers have an idea of the ​​delivery day or price when orders placed. The maps are also often used as a wall map or placemat within the company for the same reason. Do you have a zone or area that you would like to compile? Get in touch with us via e-mail, chat or simply gives us a call.